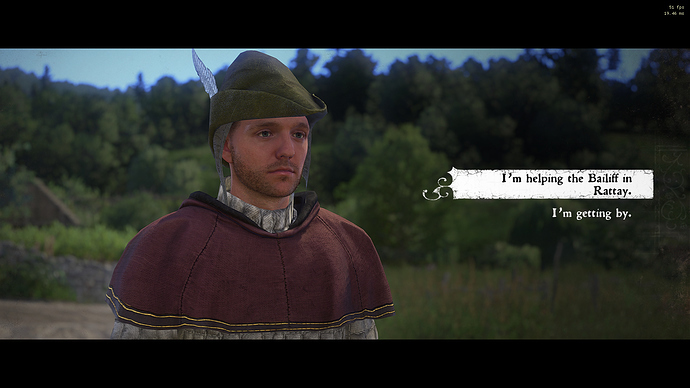 I found myself in a situation when Henry, while talking to Matthew and Fritz in Sasau, had a dialog option that he did not suppose to have. Вespite the fact Henry never come to meet the Bailiff in Rattay and did not enter Rattay at all, he is able to tell Matthew and Fritz that hi is currently “helping the Bailiff in Rattay”. 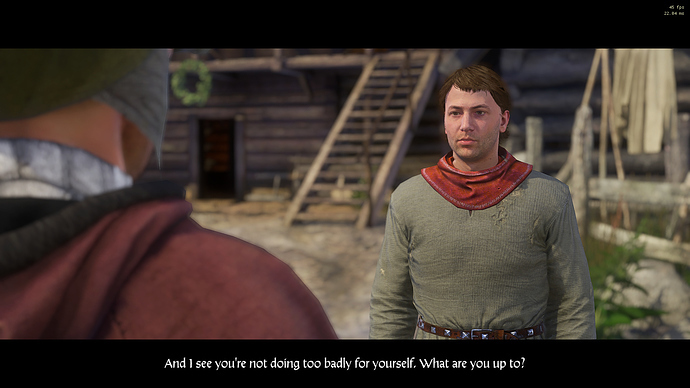 Obviously Henry is not currently in the service of the Bailiff of Rattay and that dialog to Matthew and Fritz should exclude the “I’m helping the Bailiff in Rattay” option so far. 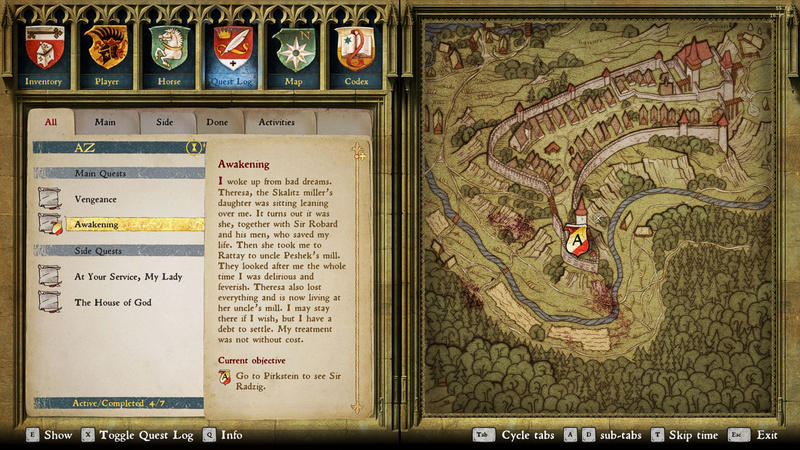 Make sure the conditions for this dialog options work as they should do. Optionally, make Henry to automatically answer “I’m getting by” if there is not other answer options in this dialog step.